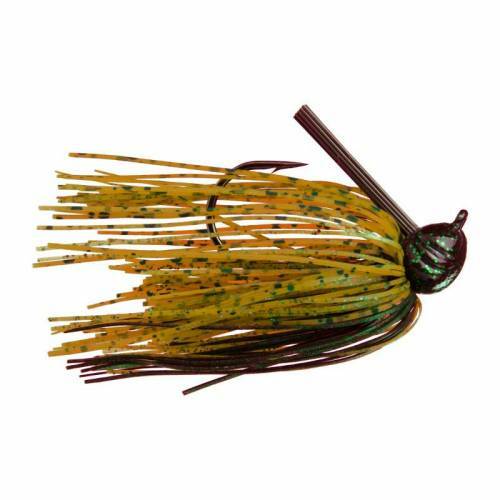 Strike King Premier Pro-Model Jig Bait - 1/4oz Pumpkin Green. Improved features include a larger, premium black nickel hook and new rattle system. Rattle is mounted just off the hook allowing you to use any 3X soft plastic trailer and also has an extra-wide chamber enabling it to rattle even when working side-to-side. Rattle also has a barb at the end to keep a trailer from slipping off.